The UCLA Department of Urology is honored to announce that Dr. Allan Pantuck, Professor of Urology, has been appointed as the new Chair of the UCLA Medical Institutional Review Board (IRB) that reviews oncology and hematology research. The IRBs are the committees designated by UCLA to review the conduct of research involving human subjects conducted by UCLA faculty, staff and students in order to protect the rights, welfare, and safety of people who participate in clinical research at UCLA. Another function of the IRBs is to ensure adherence to all federal, state, local, and institutional regulations concerning the protection of human subjects in research. 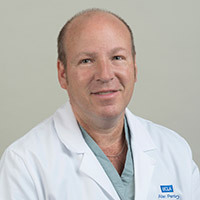 Dr. Pantuck is a physician within the UCLA Institute of Urologic Oncology and the Director of its Clinical Research program, and a member of the UCLA Jonsson Comprehensive Cancer Center's Tumor Immunology Program. Dr. Pantuck specializes in urologic cancers and has a long-standing interest in kidney, prostate, and bladder cancers, developing new treatment strategies through translational research. Dr. Pantuck earned his BA from Columbia University, his MD from the University of Medicine and Dentistry of New Jersey and his MS in Clinical Research from the David Geffen School of Medicine at UCLA.